Since I have been snorkelling for the first time in Thailand 8 years ago, the idea of diving deeper into the water was always in my mind. To be honest, I had done nothing about it until last April (2016) while we were in Dubai and we asked if we could go for a dive and found out we needed to take the PADI Open Water course to be able to do so, and since we had other plans for the trip we postponed the course for a later time. When we were back in London, I've done more research about where we could do the course. I have found out we could literally do it everywhere, even in London, but a lot of travellers choose South Asian countries and it is not hard to guess why. We already had a 17-day trip to Thailand booked which included staying eight days in Phuket, well known for water activities and scuba diving. Phuket was the last city (after Bangkok and Chiang Mai) we planned to visit in Thailand. 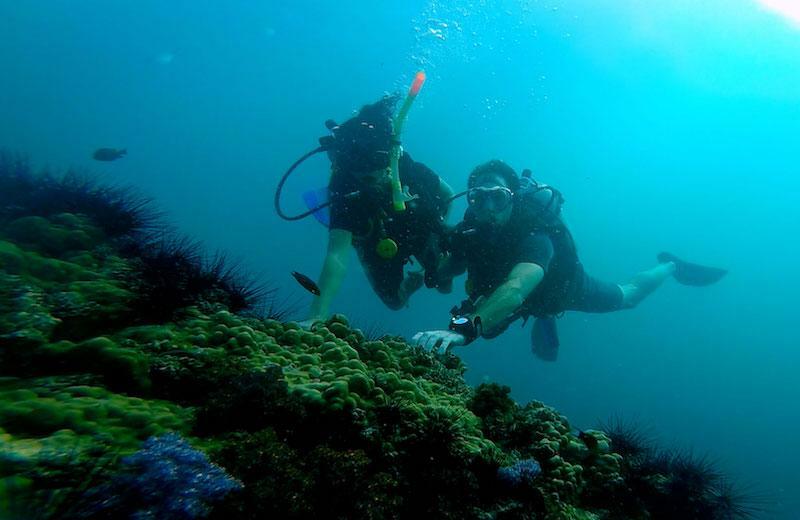 Since flying the day after the last dive is discouraged for safety reasons, we booked the course on the first days of our stay in Phuket. 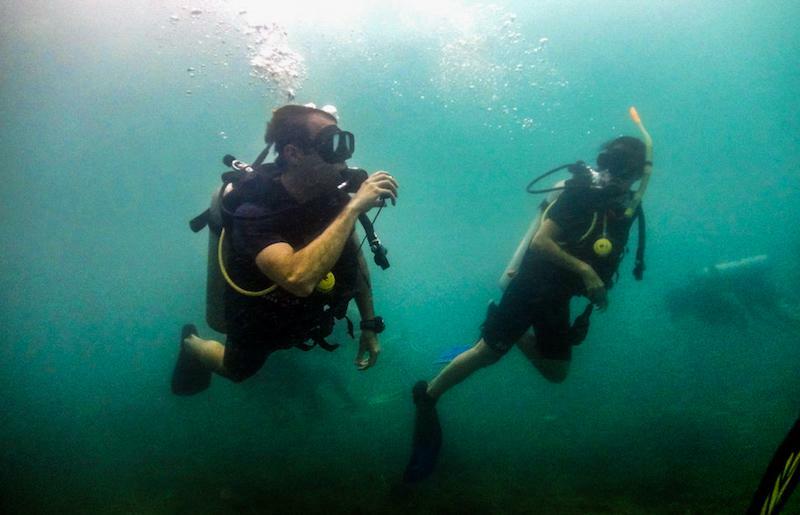 The three-day PADI open water course included 6 boat dives, with All4diving, a 5-star diving centre (according to Google and TripAdvisor ratings) costing us 13,800 Thai Baht (around 394 US dollars) per person. We were sent an e-book to be able to study the basics of scuba diving before our trip. We arrived in Phuket a night before our course started. The first day Bruno and I went to the course and sat down in a small room to watch some videos about what we studied in the book. Then we had to do a theory test. Once done with the theory, we headed to a pool to show our instructor, Allen, that we were able to swim 200 meters and float for at least 10 minutes. When we finished with all of the tests we put on the wetsuit and went for our very first dive in the pool, where we practised some of the basic skills and hazard situations underwater. 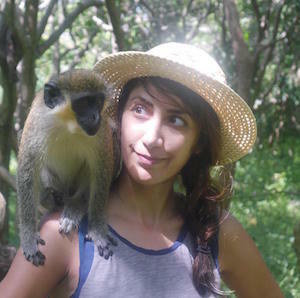 We found it very difficult, which contributed to increase our fears. On the other hand, we were told by our instructor that in the ocean it would be much easier than in the pool. Above all, Bruno was struggling with equalising which caused him some pain in his ears (this problem could be serious for some divers). This added more fear because it could prevent him from continuing the course and miss the opportunity of diving into the open water. The day after, we were picked up at our hotel in the morning and went to a pier to board our boat. By that time Bruno felt better but he still shared the issue with our instructor. He gave him some tiger balm to apply behind his ears and some advice about equalising underwater. After reaching the first dive site, everything happened really fast. All divers had to jump right after their instructors into the water as quickly as possible to avoid having to swim towards the target site since the boat would naturally float away from it. When Allen jumped I didn’t have time to think, I just did the same. Bruno, I and Allen had a small chat on the surface, then Allen asked: “Are you ready?”. I put my head into the water and looked down, in that moment the fear took over me. It was so deep and I was shocked by the depth. I tried my best to stay cool, and despite the fear, I answered “yes”. As soon as we started descending, the fear quickly passed and it was replaced by excitement. On the second day, we dived three times in different sites and practised what we learned the previous day in the pool. All the tasks in the open water were much easier to perform than in the pool, probably due to water density and not having space constraints. The third and last day we were allowed to bring our camera to film underwater because the course was almost complete. Like the previous day we boarded a boat at the same pier but this time we went to the Phi Phi Islands. The first dive was on a rocky side of an island and we had to swim between rocks. 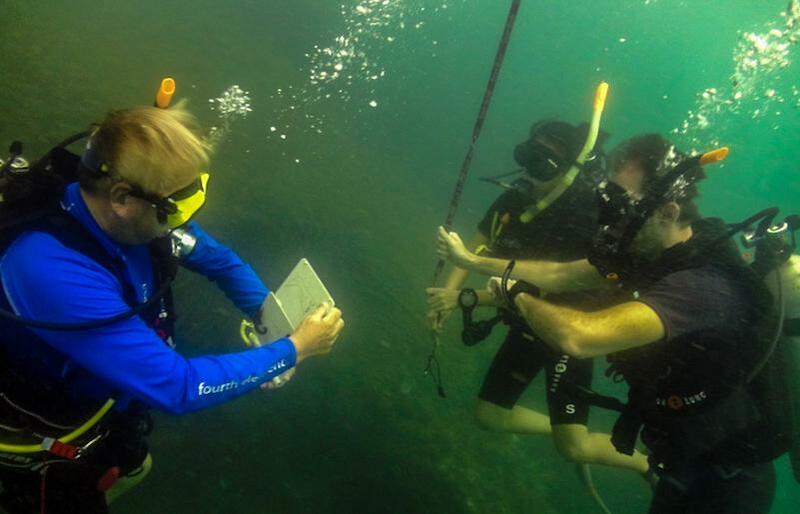 Once ready to ascend to the surface, Allen wrote on his waterproof book underwater “You are now open water divers”. Yes, we were officially divers. The three of us, including Allen, were really excited and high-fived underwater. It was our very first high-five underwater! 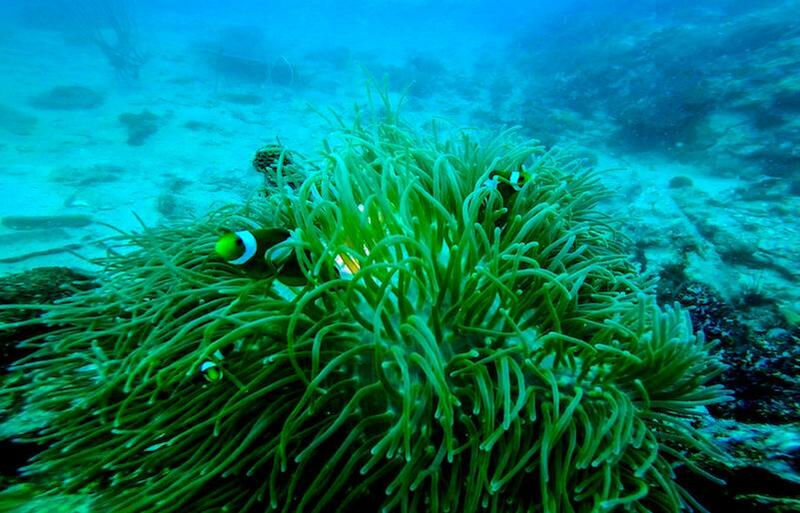 The second dive was on the other side of the same island, it was less rocky, but we managed to see some new sea species. The third dive was by far the most amazing one. We went to a site called the Shark Point (its name has nothing to do with the presence of sharks there, though). At the site, there were a huge amount of fish and sea species. We swam through groups of small fish (you can see it in the video), it was an incredible experience. At the beginning, I thought scuba diving would be just an experience similar to snorkelling, but it was far beyond that. It was the most incredible experience to be able to breathe underwater. 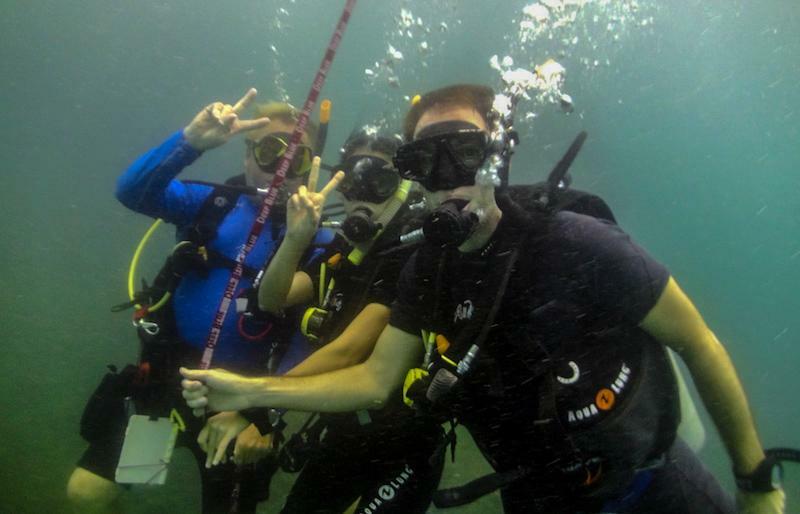 With the PADI Open Water certificate, we are now able to dive up to 18 meters underwater, anywhere around the world. 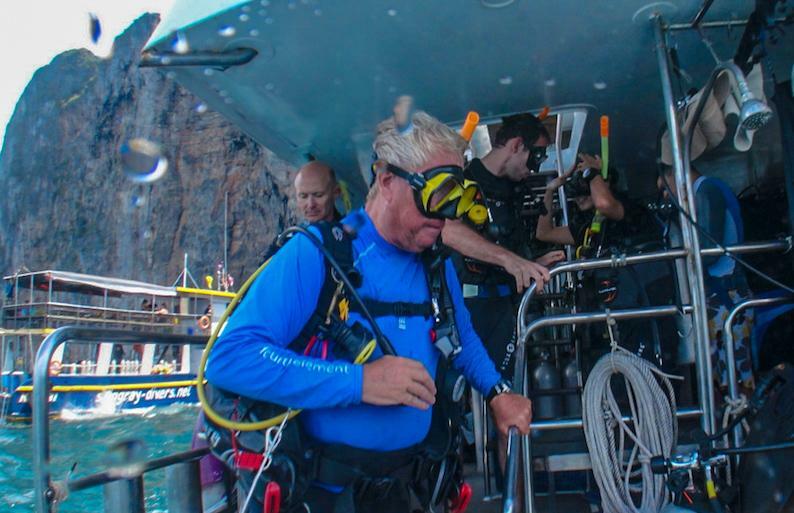 We are looking forward to a new trip and a new dive site, and who knows, maybe we'll decide to take the PADI Advanced Open Water course, which will allow us to dive up to 30 meters!